This week we have a selection from some old favorites, recent bands, and a new-ish act with an even newer name. To start, Norwegian alt-pop star Annie is back with a fantastic new track, as is TV on the Radio after a few years out of the spotlight. 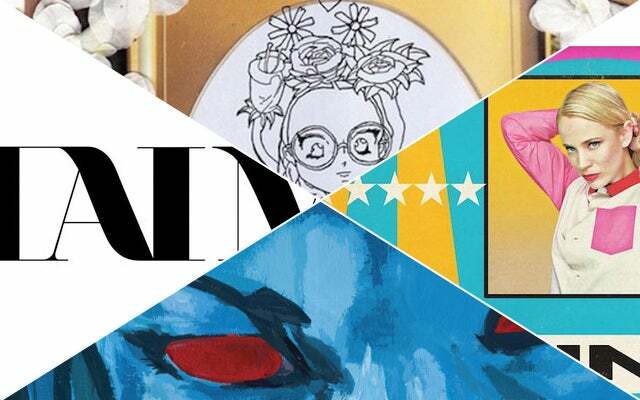 Then we have a new song from R29-fave HAIM, the latest from up-and-coming NYC rapper A$AP Ferg, and a moving, new tune from recently rechristened feminist pop act Dead Girlfriends. Enjoy! Annie is elusive. She has the tendency to disappear for years only to pop up again with a fantastic new single out of the blue. Case in point: "Invisible" sees her and longtime collaborator Richard X going for maximum pop bliss. As we (not so) patiently await the full-length album from L.A. pop-rocker HAIM, new singles keep trickling in. "The Wire" may not be inspired by the David Simon's HBO drug drama masterpiece, but it is just as addicting. As the newest star from NYC's A$AP Mob, Ferg has hit the right balance of woozy rhymes while taking on a harder edge than his more well-known mentor Rocky. "Hood Pope" sees the rapper meandering through a hazy beat with the aplomb of a veteran. TV on the Radio haven't released a new album since 2011's Nine Types Of Light, but here it is with a new track in the form of "Mercy." The song is a driving fast-tempo guitar track bit of a post-punk lean. Fans should be pleased. RIP Elite Gymnastics; long live Dead Girlfriends. James Brooks has retired his old moniker in favor of a more pop-oriented project Dead Girlfriends. Drawing from the philosophy of radical feminist Andrea Dworkin, his new EP is a remarkable piece of heartfelt, often beautifully meditative, pop tracks.